The supreme court ruled back in 1943 that students don’t have to stand for the pledge of allegiance. still the law. Trump lied & covered up his deal in Russia. Trump lied & covered up his campaign’s contact with a Russian emissary representing a secret Russian effort to help Trump. Trump lied & helped Putin’s regime cover up its attack on the 2016 election. The scandal: Lies & betrayal. Twelve children and one teacher lost their lives at Columbine High School on April 20, 1999. They will never be forgotten. Dear @realDonaldTrump- if “real lawyers” don’t take notes, why do they call the extra-long pads of yellow lined paper LEGAL PADS?? "I would really like for people to stop saying that Barr spun or mischaracterized, he just lied about a lot of stuff." 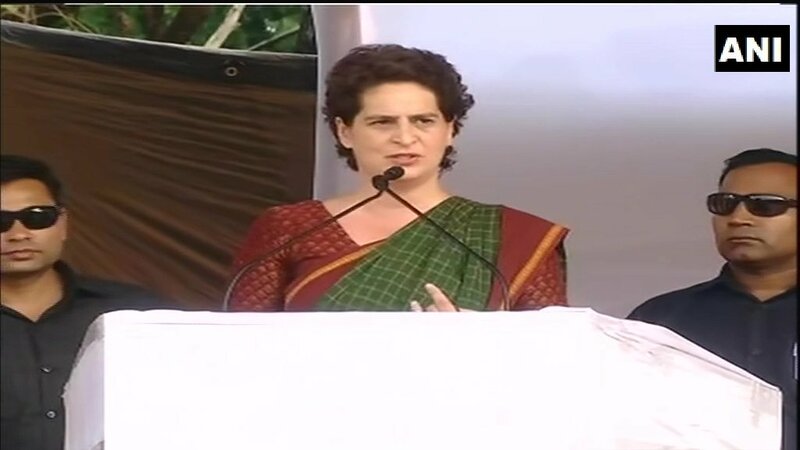 PG Vadra in Areekode,Kerala:Not many people know Indira Ji,my grandmother used to watch World Cup Soccer. In 1982 we were watching the final,I asked her,'Who're you cheering for? '.She said,'India isn't playing so I'll cheer for Italy,today.' My son&Rahul Ji are great soccer fans. I got up early this morning to work on a complicated story I've been reporting for a couple weeks -- I'm always best at writing in the morning -- and I have now written three separate ledes that I like, don't want to lose, and will never work. Progress!